Aptly situated in an area of Jozi called Eagle's View, songbird Zahara's stunning new home is her pride and joy. She opens her doors to DRUM. A TIME comes when every young bird must fly the nest and start planning a future of her own. Some chicks head for the door at the earliest opportunity; others take a little longer to be persuaded to leave the comfort of their roost. We’re off to see a young songbird who has refused to be daunted by media prods and prompts. The 26-year-old Eastern Cape music sensation was blasted for living with her mentor Nhlanhla Nciza and music boss hubby TK up until last year. 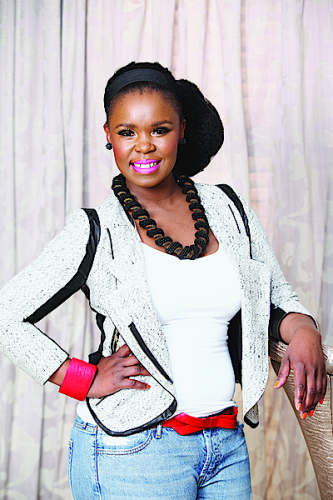 But now Zahara, whose real name is Bulelwa Mkutukana, is the proud owner of a beautiful home – and has a top-of-the-range A5 posed in the driveway. DRUM is the first of the magazines to get a peek inside her new pad.